My personal philosophy about health and well-being is to have simple goals and stick to them — whether it’s drinking more water, working in a few extra steps each day, or just making time to unplug. When I’m not busy writing creative content for a variety of audiences, my favorite ways to unwind include enjoying local arts and culture, reading a good book, and watching TV cooking shows. 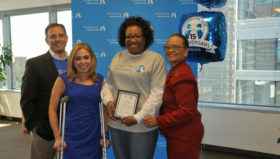 Blue Crew volunteer Cynthia is pictured above holding her Outstanding Achievement in Volunteer Service Award. 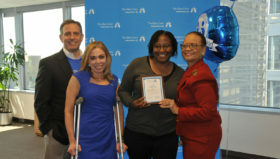 Blue Crew volunteer Marshell is pictured above holding her Outstanding Achievement in Volunteer Service Award. 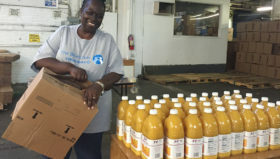 Blue Crew volunteer Kim Carter-James packing food boxes while volunteering at Share Food Program, Inc.
Blue Crew volunteer Karlene is pictured above at the 2016 Blue Crew Outstanding Achievement Awards Ceremony. 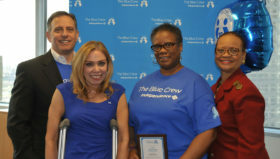 Blue Crew volunteer Diane is pictured above holding her Outstanding Achievement in Volunteer Service Award. 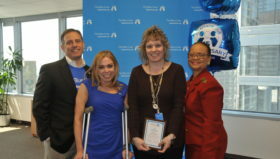 Blue Crew volunteer Debra is pictured above holding her Outstanding Achievement in Volunteer Service Award. 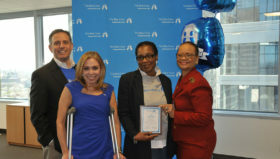 Blue Crew Volunteer Davetta Taylor is pictured holding her Outstanding Achievement in Volunteer Service Award. 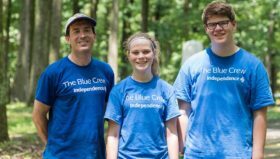 Blue Crew Volunteer Matthew White is pictured with his children at the Medal of Honor Grove clean-up. 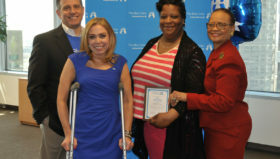 Blue Crew volunteer Carol is pictured above holding her Outstanding Achievement in Volunteer Service Award. Helen is pictured at the far left, volunteering at the Cozen PAL Prom Boutique.